Its is time to say goodbye the old Spring Mini Catalogue and HELLO! to the NEW Summer Mini. So today's post is using something Old and something New. The Xmas wreath is made using the Ski Slop Designer Series paper (old) and the Circle Scissor Plus cutting system is (New) in the Summer Mini. The Circle Scissor plus in ideal for cutting and drawing the perfect circle and adding them to your project is so easy. I have also used Real Red ribbon and clear Rhinestone Brads. 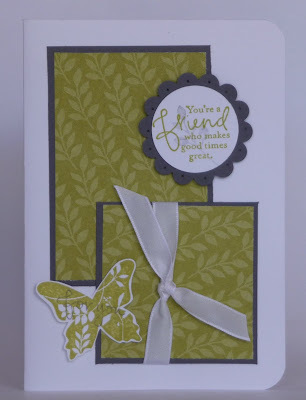 You will be able view the New Summer Mini tomorrow here or visit the Stampin Up! Web page. How you are having happy Monday! 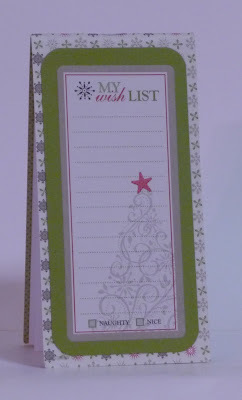 Here is a small gift card holder made from the I Wish D/S paper it is so easy to make and you can yes and kind of 12 x 12 Card Stock or D/S paper this ideas is also great for a Birthday, Wedding well just about any occasion. Take a piece of D/S paper 12 x 12 and measure it and cut at 9.5cm wide the score some fold lines at 7cm then at 14 cm, 21cm and 28cm. Fold the over 3 time you will have a 3.5cm edge. 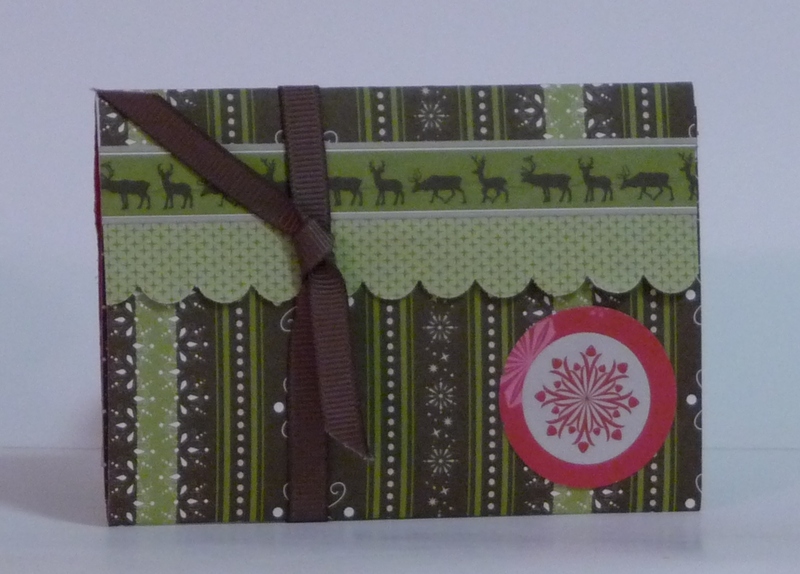 Attache some D/S paper 3cm long x 10.5 wide scalloped the edge and attach to the card. Then place the reindeer border to conceal the join. decorate as desired. This is what the gift card will look like open. 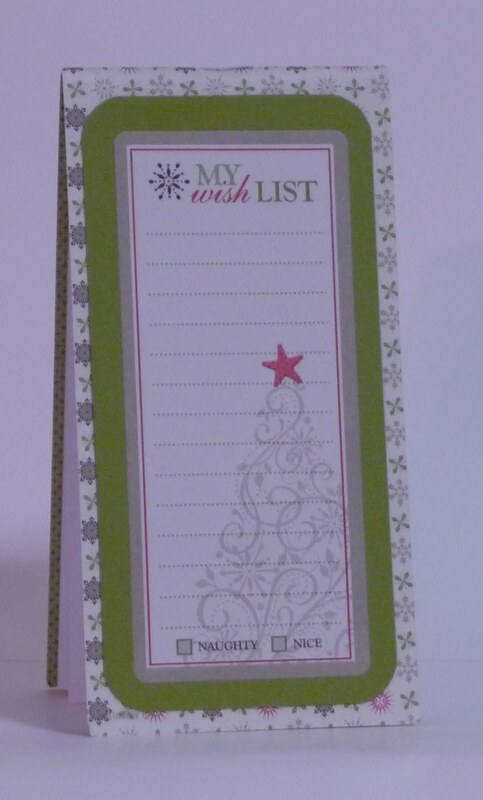 This is my wish list note book that I made. 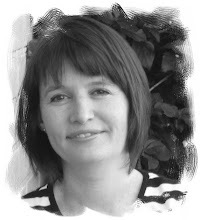 I carry it around in my handbag and make notes of gifts ideas for friends and family and of course gifts for myself. It is really cute and handy to have. The design is not my original idea and you can find the instruction on how to make this note book here. 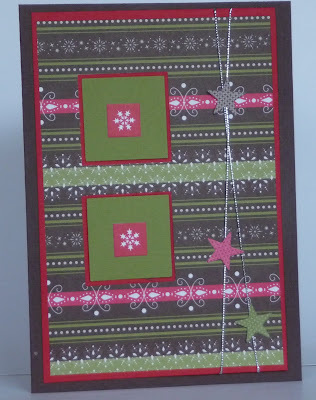 I have used the D/S paper from I Wish Simply Scrappin Kit and just plain printing paper. Old Olive card stock and the die-cut is also from the I Wish Simply Scrappin Kit. The base card today is Chocolate Chip the next layer is Real Red 14cm x 9.5cm layered that on 13.5cm x 9cm I Wish D/S paper from the I Wish kit. Adhere this to the Real Red NOW before you adhere to the Chocolate Chip wined some silver cord or thread anchor it down at the back of the Real Red with some snail now adhere it to the Chocolate Chip. 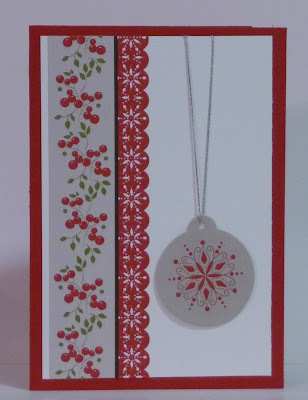 Punch out 2 x squares in Real Red and 2 x small square Old Olive adhere the small Old Olive to the larger Real Red and now you can add the small square snow flake die-cuts to the center. Adhere the squares to the card as shown. Remove a few stars from the die-cut and adhere to the card. It feels like this week is going on forever....it's only Tuesday and I thought it was Wednesday all day!!! !grrrr I wish it was Wednesday!!! I wish the weeks away as I so look forward to the weekends and the time I can spend in my " craft room" without having to rush off to work. The base card is Whisper White with Chocolate chip14cm x 9.5cm Chocolate Chips layer. First you need to punch a circle in the Chocolate Chip card using the 1 1/4" circle punch. 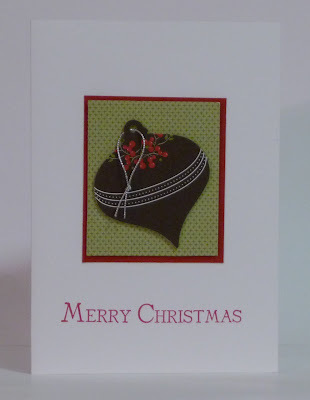 Adhere the chocolate Chip to the Whisper White base card and place the die cut in the center of the punched circle as shown. 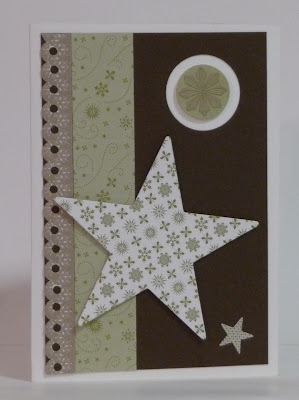 Remove the "sticky" from the Star die cut and place a few Stampin Dimensional's to the back. Adhere the scalloped edge and the green die cut on the left side. Now you can place the star on the card. I have run out of time today so have decided to post a card without instructions for now. 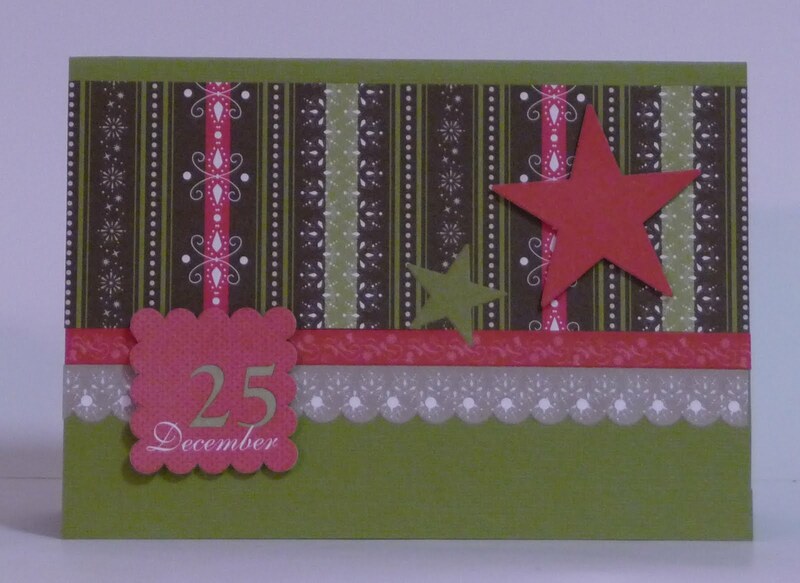 All elements are from the I Wish Simply Scrappin' Kit. 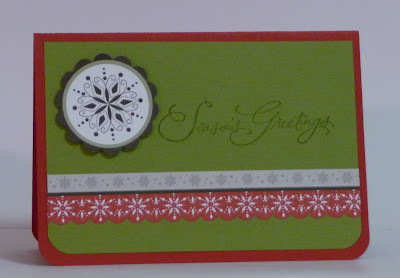 With your Real Red base card in hand take your corner rounder punch round the corners of the Old Olive and Real Red card, place a strip die cut of the scallop red and the cream on the Old Olive card as shown. 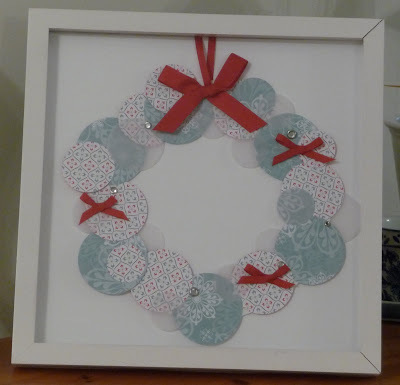 Remove the scalloped circle die cut - remove the "sticky" from the back (with talcum powder) and adhere the other circle die cut to the other as shown . Add the stanpin' dimensionals to the back and adhere to the card. 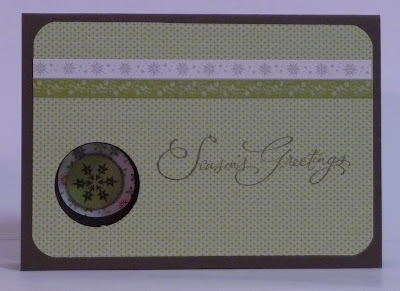 Stamp the words Season's Greetings in Old Olive ink and stamp on the Old Olive card. 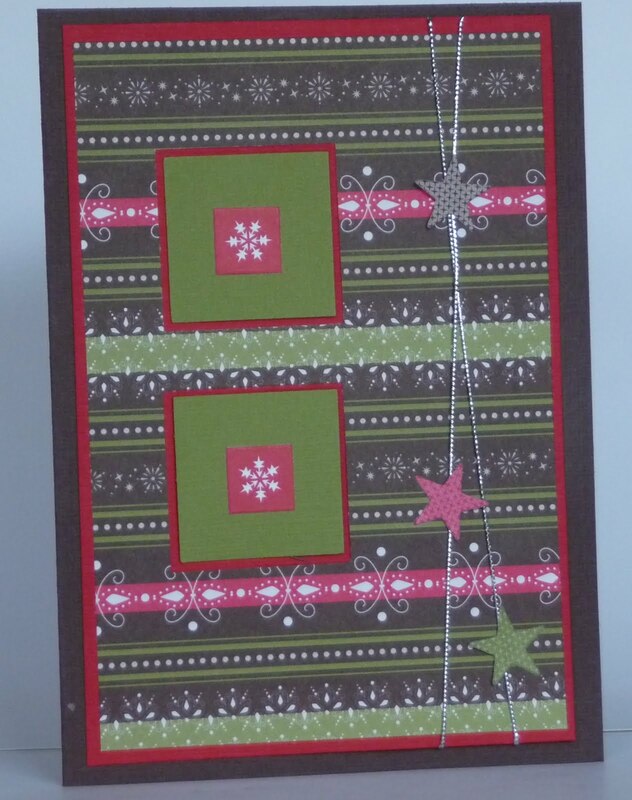 The first thing you need do is take the Old Olive, Chocolate Chip, Whisper White and Real Red 12" x 12" textured card stock and cut into A4 you will be left with a strip measuring 9.3cm x 30.5cm(12"). You know need to cut this strip into 2 x 14.3cm lengths( this will be use for some of the layering and embellishment for you cards). 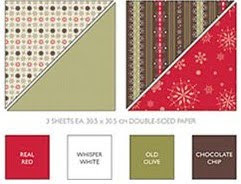 Now cut you A4 cards in half A5 score and fold, these will form the base for you cards you should have 2 of each colour (2 Old Olive, 2 Real Red, 2 Whisper White, and 2 Chocolate Chip). Now this is all done you are ready to assemble youf cards. Come back tomorrow to view the first card! I have had the opportunity to spend sometime on my blog which is very neglected I was up till 1:30am last night just to get a start on it. So I have moved a few things around to given it a fresh new look. I am hoping to add more things and make a few improvements. 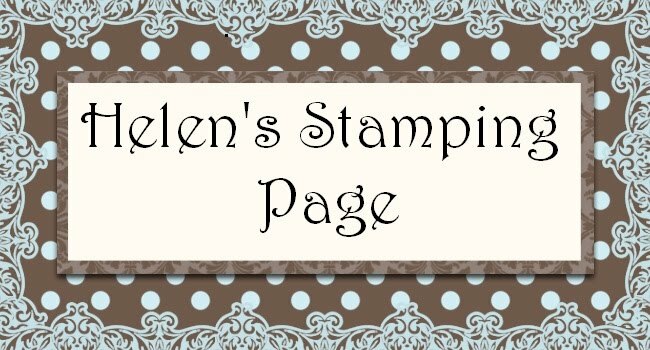 Well I hope you like the new look and will check back later to find out what's going on especially with Stampin Up! there has been a lot of new developments lately and I look forward to sharing them with you. 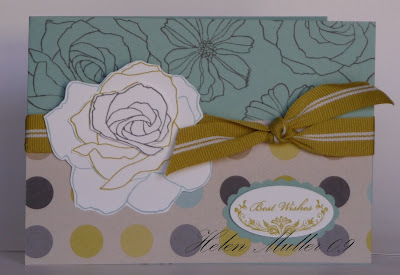 When you host a qualifying workshop you can earn free products the pattern paper used to make this card is from a level 1 hostess gift. 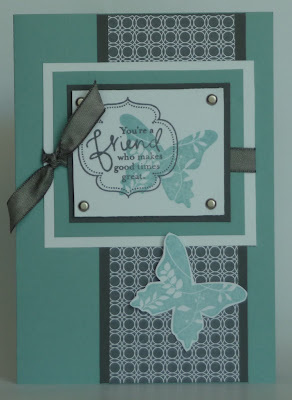 Hosting a workshop is a great way you build you collection on Stampin Up! accessories and stamp sets. Contact me and host a workshop today!